Welcome bibliophiles! 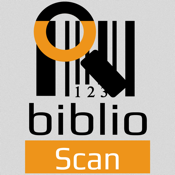 Scan barcodes or do a Conventional text search! BiblioScan will help you in finding a book based on author, book title or ISBN. Check the book details or go for online shopping (by choosing an online store from the list displayed) if you like the book so much.